The Connection Network ("TCN") is a non-profit organization that supports metro Detroit professional women of color. Founded in June 2014, The Connection Network began with a conversation between two friends about what they could do to bring about unity and positive change to their hometown of Detroit, Michigan. From their conversations and cause-driven professional work, The Connection Network was born. TCN's mission is to cultivate a positive impact in our community by providing a platform for women of color to support one another, build stronger professional networks and mentor the next generation of female leaders. The Connection Network stands on the three-point model: Support, Network and Mentor. To learn more about our platforms, read below. Whitney Lewis is a communications and marketing executive experienced in various facets of the media industry, including public relations, advertising and event management. Whitney is the director of communications for the Department of Public Services for Wayne County. She has previously worked for The Salvation Army, Fleishman-Hillard, NPR, ABC Radio. A proud graduate of Howard University, Whitney received her bachelors degree in Broadcast Journalism. Whitney also obtained her masters degree in strategic communications from American University in Washington DC. When not working hard for the residents of Wayne County or TCN, Whitney also commits her time to the socially conscious group, Soulcial Scene as the Communications/PR chair. Whitney is committed to uplifting the next generation of female leaders and being a positive force for her hometown. Tonie, born and raised in metro Detroit, is a program manager for Goodwill Industries. She previously worked for the National Council on Alcoholism and Drug Dependence- Greater Detroit Area managing the prevention program aimed to bring substance abuse disorder, life skills and resource education programs to youth and families throughout Wayne county. An advocate for Historically Black Colleges and Universities, Tonie is a proud graduate of Florida A&M University, where she received Bachelors degrees in Public Relations and Political Science. As a young professional woman, Tonie believes that it is our responsibility to not only strive for the best in our respective fields, but to also pay it forward and invest in the community that raised us. The Connection Network's Support platform focuses on supporting female entrepreneurs and business professionals in the Detroit metropolitan area. Our main initiative under the Support platform is our Gazelle Series. Our annual shopping experience has helped over 40 female entrepreneurs showcase and sell their products and/or services to the public. A portion of each entrepreneurs vendor fees go to our mentor program. The Connection Network's network Platform Focuses On Events Where Participants Are Invited To Enjoy An Intimate Experience With Diverse Individuals And Learn New Insights From Accomplished Speakers. Our main initiative under the Network platform is our ConnectHer events. Our signature ConnectHer luncheons and events are held bi-annually. These lively and engaging events break the typical rules of how networking is done by creating a unique space for collaboration and interaction. We always provide dynamic female speakers and presenters that our guests can learn from. Participants are encouraged to leave each luncheon/event with new friends, contacts, mentors and mentees. The Connection Network's mentor platform Focuses On fostering young girls To Become Strong And Educated Leaders In Their Community. 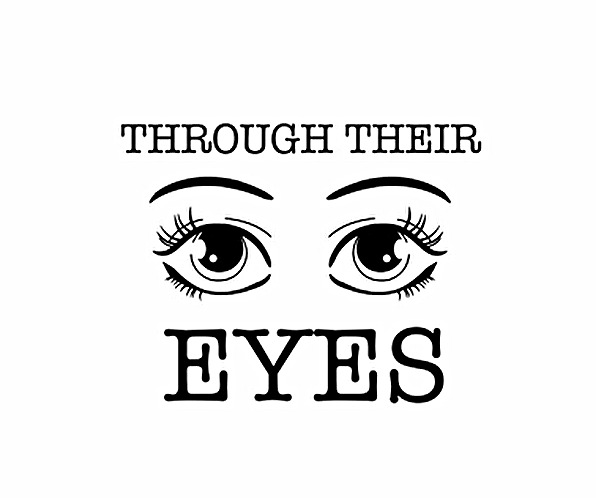 Our main initiative under the Mentor platform is our "Through Their Eyes" mentoring program. TCN collaborates with institutions whose goals and mission align with our purpose. Our mentoring sessions are held at MacDowell Elementary School and cover various topics, including self-image, goal setting & planning, defining beauty, and professionalism. All donations and raised funds for the Through Their Eyes mentoring program goes towards scholarships for mentoring participants. If you are interested in partnering or volunteering with us in the Through Their Eyes mentoring program, please connect with us. Become apart of the TCN community! For general inquiries and volunteering opportunities, contact us! The Connection Network is committed to collaborating with companies and organizations that are working towards the engagement and development of women of color. Contact us to learn more about how we partner with organizations and discuss opportunities.